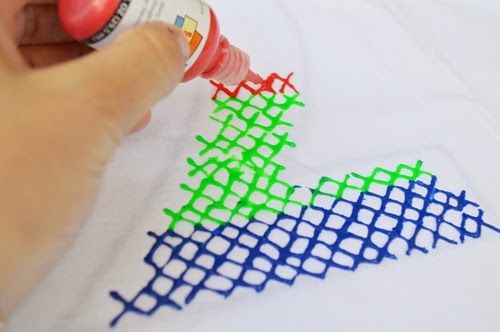 I am so excited about this tutorial because I have never done any kind of cross stitching in my entire life. I know we can all shake our heads at me. I should be ashamed of myself, haha! 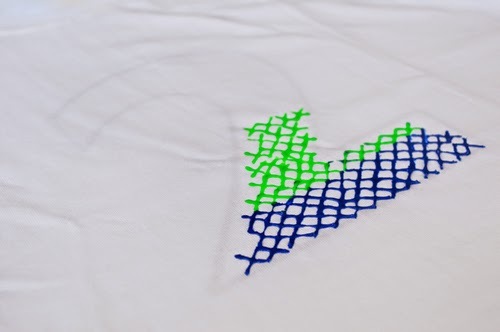 I like to figure out different ways to RE-CREATE things, so I thought it would be cool to show you a quick modern take on cross stitching. Don't worry, it's super easy and I know you will have fun with it. P.S. I am doing a number in this tutorial however you can create any image you would like since the technique is mainly what I am showing you today. 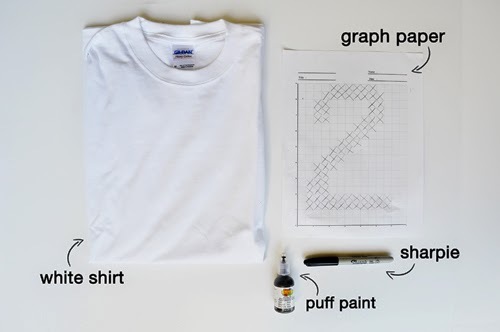 Step ONE: Print out a sheet of graph paper or if you have some in a notebook get a sheet out. If you notice the graph paper has big squares and tiny ones in the big ones. 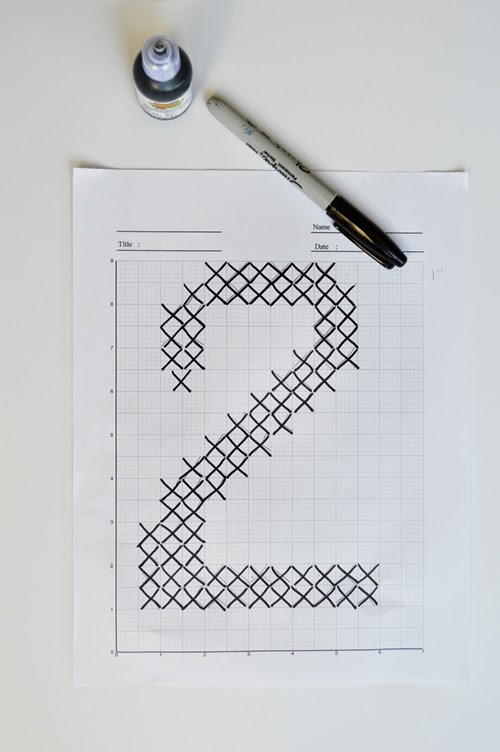 I lightly drew out a number 2 with a pencil then carefully started drawing X's in the big boxes to create a number 2. The good news is you are using a pencil so if you make any mistakes you can easily erase. 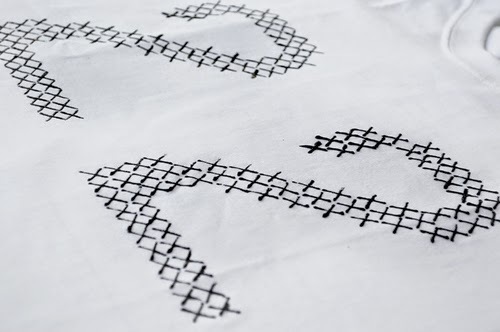 I downloaded the graph paper in the tutorial here. It made it super easy for the project. Step TWO: Once you are happy with your penciled X's grab your black Sharpie and go over them. Wondering why we are doing this? 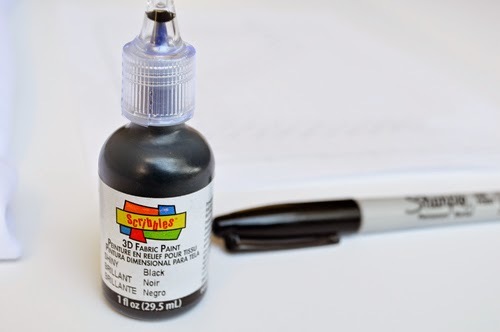 Well I am trying to show you the easiest technique to create a faux cross stitch and we will end up slipping this sucker under the shirt so black is the easiest thing to see under fabric. Step THREE: When you are done step back and look at it from a distance. Sometimes when you do this you will find slight mistakes and you can fix them before we start painting. 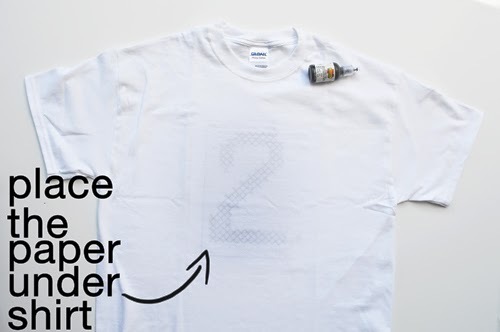 Step FOUR: Slip the paper underneath your shirt. Now, I am using a white shirt to ensure I see my image good. I did try putting the sheet under a red shirt and I could not see it that good, yellow worked fine, light gray you can still see a little and heather gray you can't see the image. When you are done let it dry for a few hours. I put my shirt in the sun so it took about 10 minutes in this Louisiana weather! 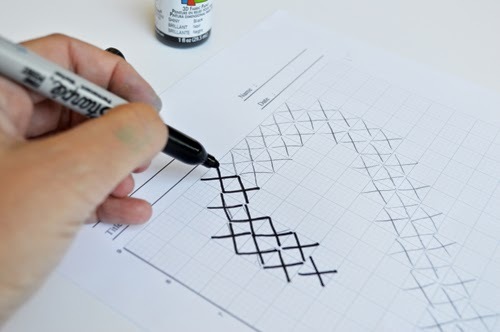 If you do not have graph paper you can still do this project. Go online and find a hollow image of what you want and print it out on a 8x10 sheet of paper. 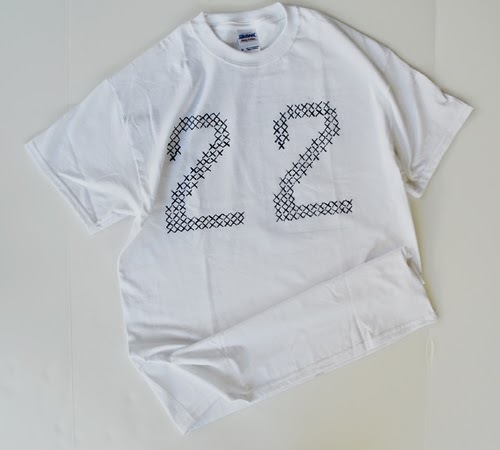 I wanted to make this shirt fun so I used different colors of Scribbles 3-Dimensional paint. There is something about these colors. They make me super happy! Yep! 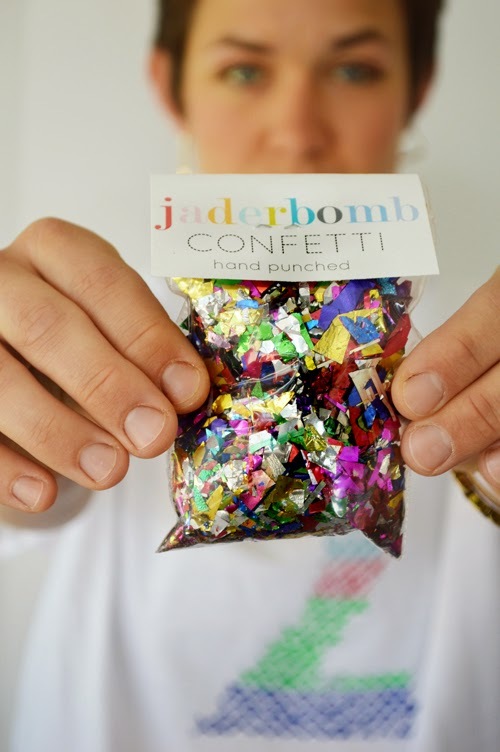 I cut up some confetti for this project! Super fun and festive. I do sell these in my Etsy store! Voila! 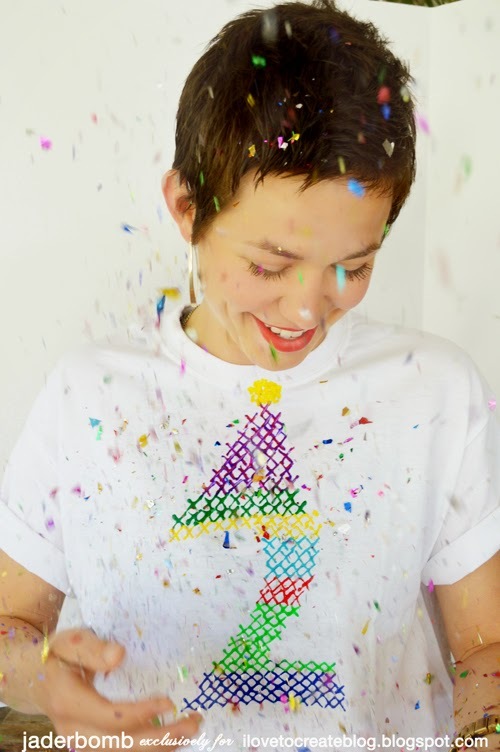 We have an instant birthday shirt! 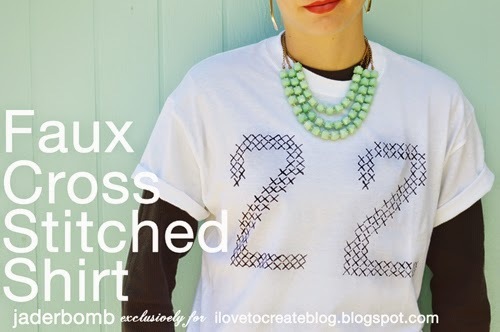 I hope you enjoyed this faux cross stitch tutorial! Make sure to share it on your social media sites so the WORLD can have their own phone cases! 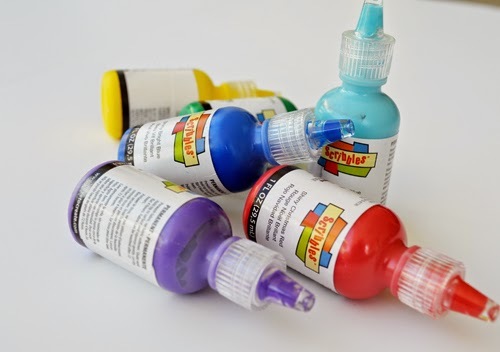 Great tutorial and great idea! This is so cute, I love this idea! !